Denver, Colorado: As I waited to film an interview with Susan Crawford, who is being promoted by the left as the next FCC chairman, she could be overheard expressing a burning desire to get on Rachel Maddow’s MSNBC program to attack the telecommunications industry. Crawford has written a new book, Captive Audience, which is popular and for sale here. Free market advocate Adam Thierer of the Mercatus Center at George Mason University calls Crawford “the ringleader of the growing movement to impose centralized, top-down government control on America’s broadband infrastructure.” Broadband is also known as high-speed Internet access. Crawford, Obama’s former science and technology adviser, was a hero to the National Conference for Media Reform, which is the brainchild of a group called Free Press. About 2,000 people attended the event. She delivered a keynote speech, saying, “We need to recapture the regulatory ideal,” and declared the need for “regulation of infrastructure” and “government intervention” in the marketplace of Internet services. 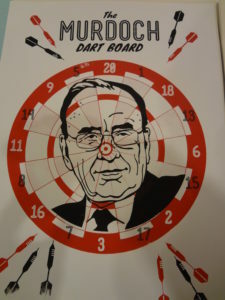 Rupert Murdoch, chairman of News Corporation, parent of Fox News, was a popular target, with one exhibit allowing activists to throw bean bags at a Murdoch poster. Juan Morales of The Autonomous Playhouse, who ran the exhibit, told me that Fox News should not be allowed to exist unless a “communist” channel was permitted as well. New York Times staffer Brian Stelter was scheduled to participate in a panel discussion at the conference but bailed out at the last minute, citing a writing assignment deadline. Stelter has described Free Press as a “media reform” group “which advocates for more diversity in media ownership,” without any hint of its leftist tilt. 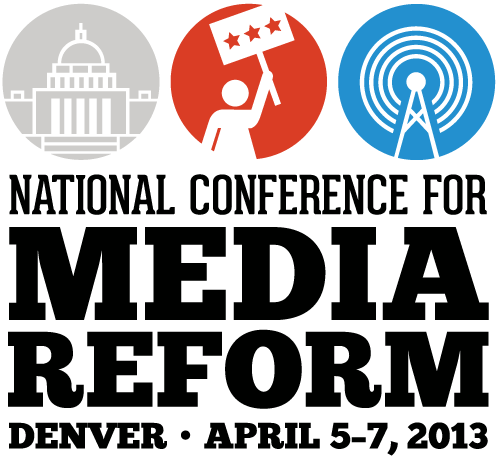 This is the third National Conference for Media Reform that I have attended. This year, McChesney and his group are pushing for government control of the Internet in the name of “open access” and “net neutrality.” Another big cause is federal funding of the journalism business. Their own funding has come from billionaires such as George Soros, the hedge fund operator. But when I asked McChesney and John Nichols, another co-founder of Free Press, about the specific amount of money Soros has provided, they professed ignorance. It is said to be over $1 million over several years. This year, as I discussed in a previous column, the New America Foundation has emerged as a big player. It also gets money from Soros, the Ford Foundation, and the Gates Foundation. McChesney favorably cites Crawford as a “telecommunication expert” in his own book and also quotes from the writings of Karl Marx in his treatment of “How capitalism is turning the Internet against democracy,” the actual subtitle of the book. Marx is given credit for an “insight” that somehow has relevance to the battle for control over the Internet. When I tried to question this “media scholar” about foreign propaganda channels entering the U.S. media market, he became visibly upset, grabbed my camera, and walked away in disgust, saying other people wanted to talk to him. All of this was captured on film. During the course of the conversation, such as it was, he tried to deny Al Jazeera’s relationship with al Qaeda. This was in sharp contrast to my friendly interview with former FCC commissioner Michael Copps, who agreed that the activities in the U.S. of Al Jazeera, Russia Today, and other foreign propaganda networks were a proper subject of inquiry by the FCC. “I think you conduct a thorough inquiry to understand what’s going on,” he said about these channels. He wondered about their impact on existing media and communities in the U.S. Despite Copps’ effort to be cordial and forthcoming about issues not on the official agenda, such as the foreign propaganda channels, this Denver conference of “media reform” activists was designed with the purpose of reshaping the American media by targeting big American companies such as Comcast. Many people, of course, have gripes about their Internet service, and the organizers of this conference will attempt to exploit them in the weeks and months ahead. These activists want the federal government to regulate how companies provide Internet services, supposedly to make them cheaper and more available. 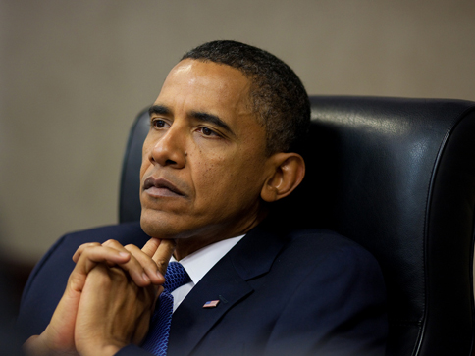 It is not known how many of these activists, through their associations with various “public media,” may already have benefited from the $7.2 billion Obama spent on Internet broadband services through his so-called “stimulus” package. One expert, Joanne Hovis, told me that “non-profit” groups, public broadcasting entities, and “independent media” did receive some of the money. Hovis also said Susan Crawford—then with the Obama Administration—was an “incredible advocate” for spending on broadband infrastructure. In my interview with Crawford, she was clear about imposing “public obligations” on the private sector but about her willingness to be the next FCC chairman. 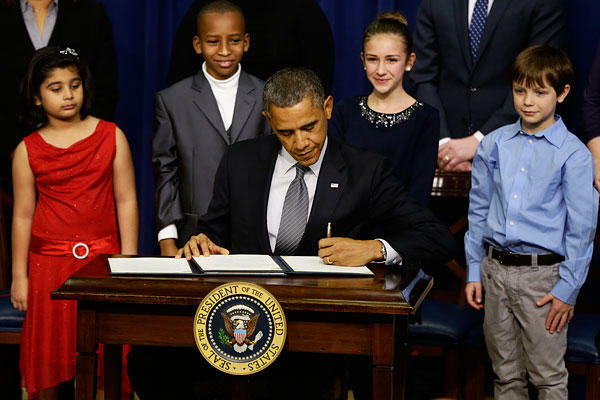 Crawford said that when she served Obama, in 2009, telecommunications was not a top priority, since he was wrestling with problems in other industries, such as banks and car companies. But now she hopes the administration will take on the communications industry. “This has got to be a major national issue,” she said. As left-wing as the conference was, there was dissent. I filmed an exchange between one media reform activist and a Free Press representative about the group known as “Project Censored” being “censored” from having a panel discussion of 9/11 being an “inside job” and not the fault of Islamists. The group Project Censored did have a booth at the conference that included copies for sale of a 9/11 book titled Mounting Evidence. Another dissident group, led by Webster Tarpley, formerly of the Lyndon LaRouche organization, held a separate event down the road from the Sheraton Denver Downtown Hotel, where the conference was held, to examine whether conference stars such as Amy Goodman were providing cover for Obama’s “pro-war” foreign policy in places like Libya and Syria. The conference did hold one panel discussion on the subject of covering war. Ironically, Jeff Cohen, founder of Fairness and Accuracy in Reporting (FAIR), had some kind words to say about Fox News. Cohen is described on his website as the founding director of the Park Center for Independent Media at Ithaca College, where he is an associate professor of journalism.